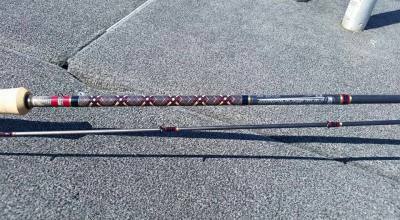 Here at Patriot Custom Fishing Rods, we strive to build you the most sensitive, durable, and highest quality fishing rods at a competitive price that you can find. We Utilize Batson Enterprises and American Tackle Components. We will work with you to make a fishing tool that will help you have a better angling experience along with allowing you to increase your catch rates. Please be pateint as we are adding to the site almost daily to show all the options that can be ordered. THANK YOU AND CHECK BACK OFTEN FOR NEW UPDATES! We will build a rod to your specifications. From handle material and length to the type of guides. The length of the rod blank to the colors of wraps. We pride ourselves with the high quality work we perform. If you prefer to build one yourself we are a OEM suppier for Batson Enterprises and American Tackle components. Because of the amount of options available we do not offer a web store and prefer a more personal touch when dealing with our customers. 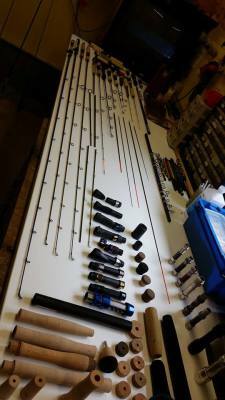 We look Forward to helping you through the process of choosing your components and building you a custom rod that you will be proud to own and fish with!